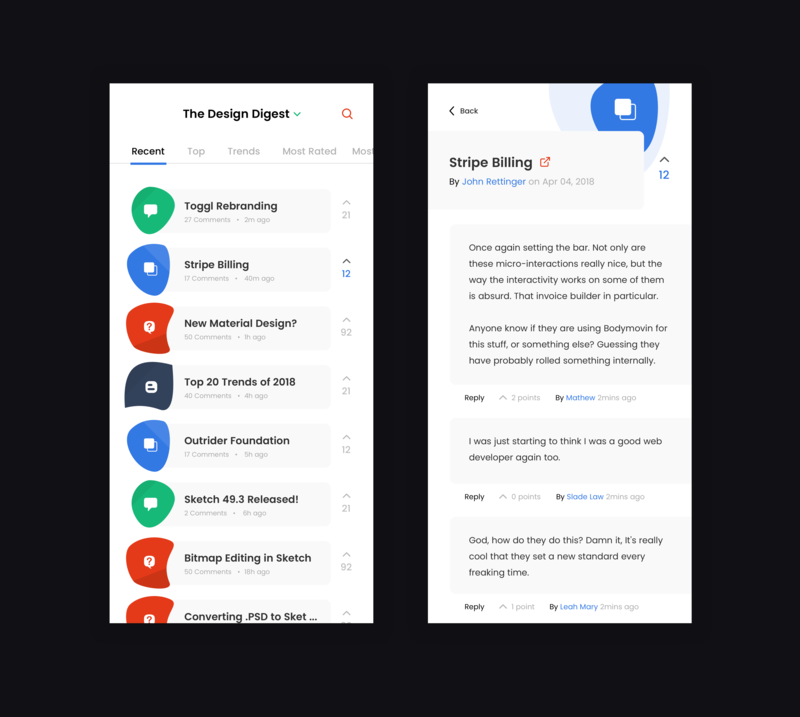 Brief: To design a mobile app with funky shapes and colors. It’s Disruptive Thursday and today’s disruption is to design something with funky shapes and colors! 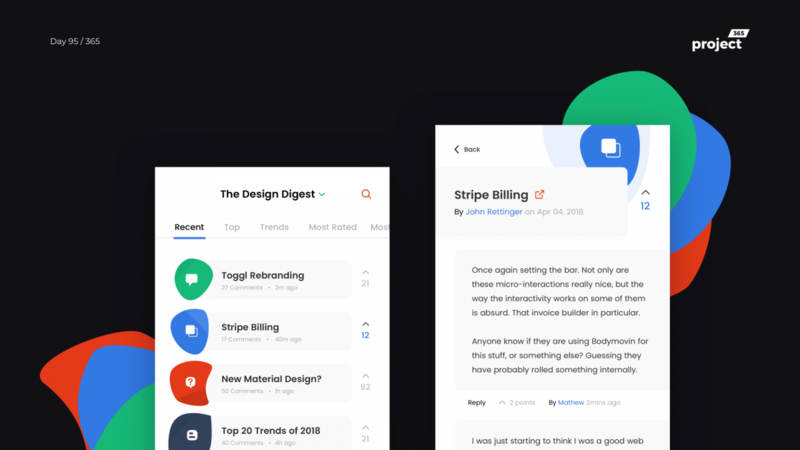 Inspired by the community at DesignerNews, here’s a funky design news/community portal. The challenge was to design something with funky shapes and colors & I tried to incorporate that with the iconography.